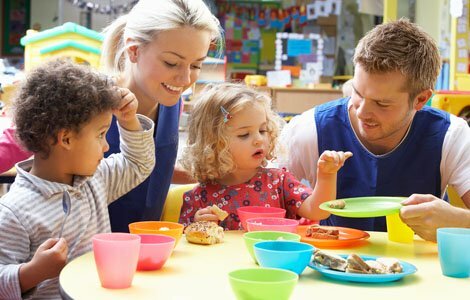 Over 500 staff working in prevention and early help (IPEH) services for children and families were re-organised by West Sussex County Council for April. Although redundancies were not sought (because vacancies had been frozen for months prior to the changes), this was still a major restructure exercise because many staff were asked to take on new roles, sometimes at different rates of pay and in different locations. When such restructures happen it can feel a bit like a massive jigsaw has been thrown up in the air. When it falls back down it is not always the case that all the pieces can be made to fit back together, even if redundancies are not planned. Staff have rights in these situations, and UNISON provided some intensive and timely support to its members at the ‘business end’ of the consultation. Some members did not feel the roles they had been offered were ‘reasonable alternatives’ and actually preferred to take a redundancy package. Other members had the same issues about roles and agreed to undertake trial periods. Some other members had particular child care needs which could not be made to fit around new working patterns or locations. UNISON reps were on hand to ensure that, with the right advice and support, alternative offers were put on the table by WSCC. There is no doubt this support avoided a number of redundancies or claims for unfair dismissal. Members who love their jobs and rely on them for their family’s income were able to continue to work for WSCC when the situation had appeared impossible to resolve at the outset. This shows the value of UNISON membership at critical times at work. I am pleased to say that my hub base has been changed to X which I am relieved about. Thank you so much for your help. Not yet a member? Join UNISON West Sussex today.